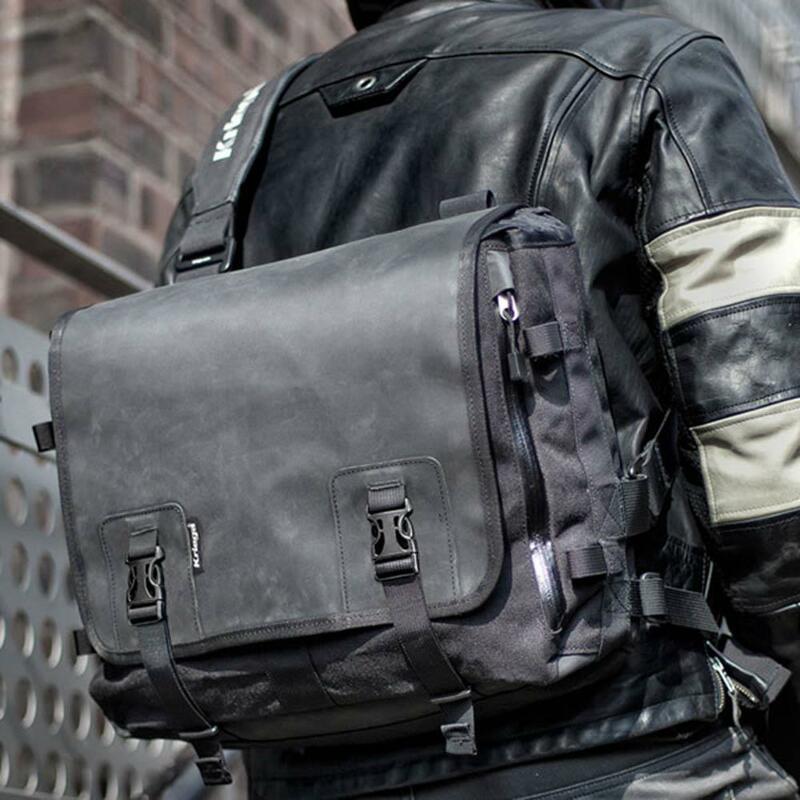 This high-spec bag is designed with motorcyclists very much in mind. Made of Cordura and Hypalon, it has a rolltop closure on the main compartment, plus a heavy-duty flap with buckles on long straps. The waterproof compartment is a simple single chamber, but there’s a handy A4-size zipped compartment in the flap and another zipped pocket in one end of the bag. 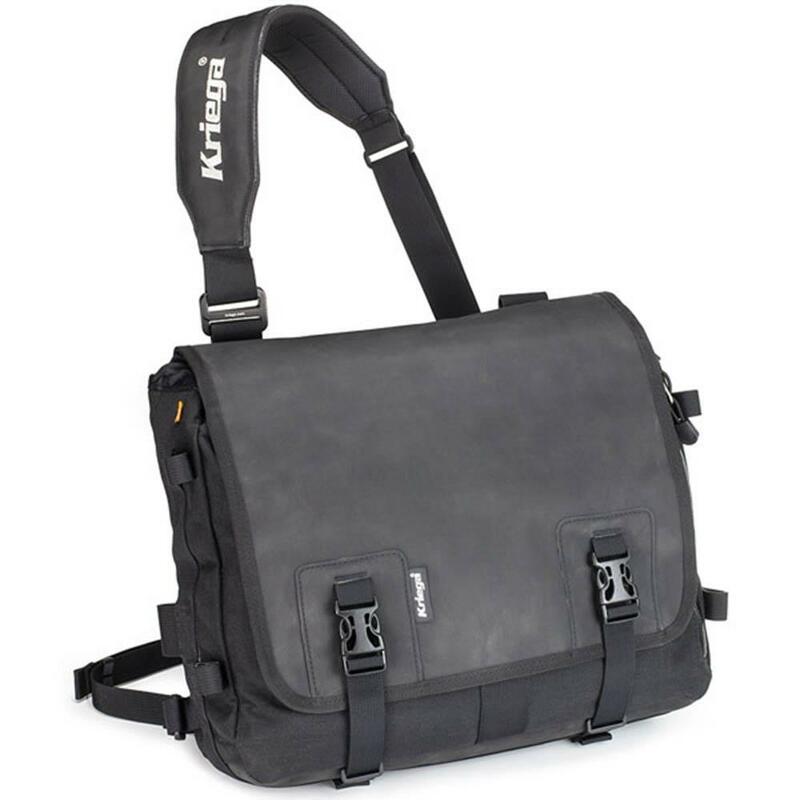 The shoulder strap spreads the load, with a detachable waist strap to stop the bag flapping about. The materials and construction are top notch; the strap adjusters are metal, not plastic. It comes with loops to attach smaller Kriega bags. It’s also suitable for use as a tail pack. The only downside is that the belt-and-braces design means everything takes longer than with the other bags.